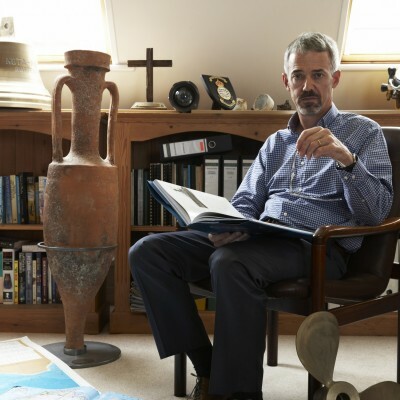 David Mearns has discovered some of the world’s most fascinating and elusive shipwrecks. From the mighty battlecruiser HMS Hood to the crumbling wooden skeletons of Vasco da Gama’s 16th century fleet, David has searched for and found dozens of sunken vessels in every ocean of the world. The Shipwreck Hunter is an account of David’s most intriguing and fascinating finds. It details both the meticulous research and the mid-ocean stamina and courage required to find a wreck miles beneath the sea, as well as the moving human stories that lie behind each of these oceanic tragedies.